Thanks to Ben at WelcometoKelownaNow for doing this fun write-up about me! Michele Rule is probably best known for her role as a Kelowna City Councillor from 2005-2011. During her tenure, the city saw a lot of change, including the building of the H20 Centre and Stuart Park while Michele was able to demonstrate her passion for the betterment of our city. She continues to demonstrate that passion in her current role as the Communications Manager at the Okanagan Regional Library (ORL). The role expands her tutelage beyond just Kelowna to the entire valley and her care for the literacy of our population is obvious. Right now the ORL is focused on expanding their tools and access to digital literacy, offering the most current on-line resources available. 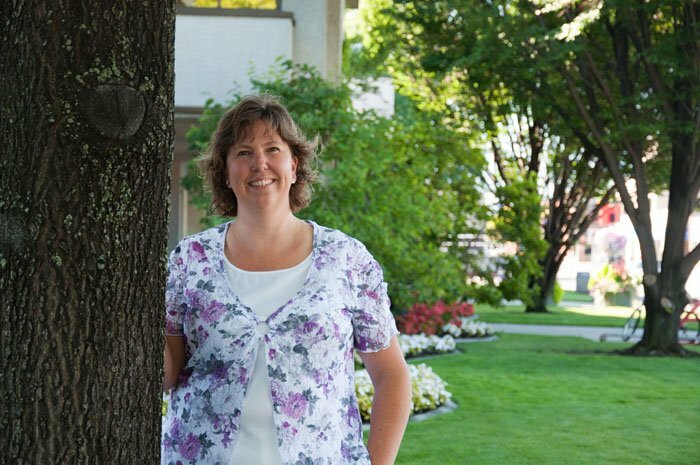 Michele has really been woven into the fabric of our community and today she and Okanagan Regional Library are In Focus. I would choose Margaret Atwood. I have always enjoyed her writing and lately I have been following her on Twitter and really have a lot of respect and interest in her opinions on current affairs in Canada and the world. I would love to talk to her about politics, environmentalism and women’s equality. Peter Gzowski. I loved his sense of humour and his ability to help people understand what Canadian culture is. I would just sit and listen to him tell stories the whole day. My mom – she is always optimistic and full of energy. And my partner – he is the most encouraging person you will ever meet. Plus a lot of other people I have met over the years who have made a difference in the world in both big and little ways. October 11, 2066 – that would be my hundredth birthday and I’d like to see what the world is like then! Equal opportunity. Every child should have equal opportunity to succeed, no matter what their background. I think as a society we are responsible to provide this to every child as best we can. Wow, hard to choose! I’ve had lots of amazing things happen in my life. But really, a favourite day now is one where I can spend time with my family just hanging around in this wonderful place we call home. My kids, of course! But next to that, the opening of the H2O Centre and the Stuart Park Ice Rink – two great facilities for the people of Kelowna that happened while I was a city councillor. There’s a little Japanese place near our house called “Dozo” – the food is good, the people are so nice and friendly and we can walk there! We love Parks Alive, especially now that it is happening around the city in different neighbourhoods! It’s always great to hear some familiar musicians and some new up-and-comings, in a variety of genres. And the outdoor settings couldn’t be lovelier! 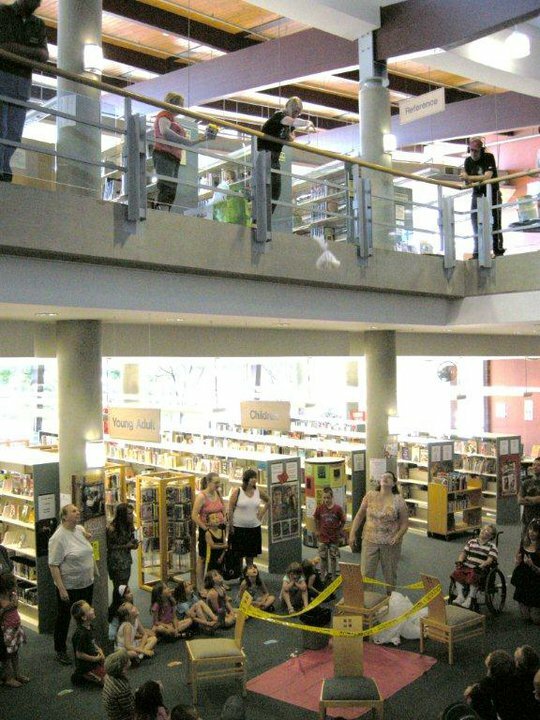 The Okanagan Regional Library provides the most economical, sustainable, and relevant source for information and entertainment, both on and off line, in the BC Southern Interior! One of our goals is to lead in digital literacy – to have our staff be excellent educators and to offer the most current on-line resources available. Interestingly we are just beginning this very discussion with the staff, patrons and stakeholders at the Okanagan Regional Library. Stay tuned! 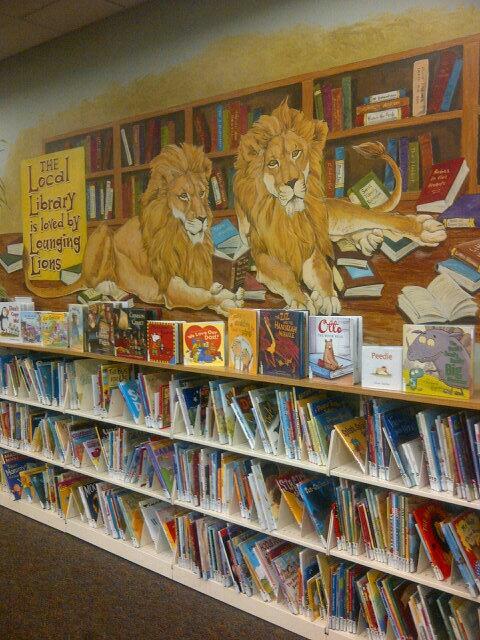 There are many, many examples of great libraries! Edmonton Public, Richmond Public, and in the States, Chattanooga Public, are all worth following and learning from! 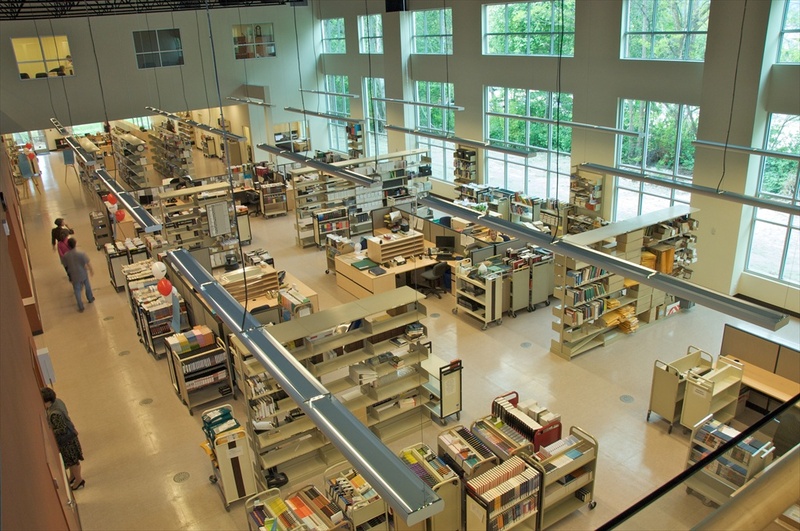 Okanagan Regional Library employees are intelligent, compassionate and forward-thinking. They are the bench-strength of the organization! By impacting the literacy of the community we help create a stronger future where more people can be successful, live healthier, happier lives, and contribute more back to society! Philanthropy. A new direction that we need to talk about across library systems is diversifying our funding sources. It would be great to get professional input about fundraising and to meet some potential “investors”! The highway running through the middle of town. But I think that is physically impossible at this late stage. So I would just improve the highway – beautify it, make it safe for cyclists and pedestrians. And then just quite complaining about it – really the traffic isn’t that bad here! The volunteers! The people in this community really know how to give back – it’s awesome! Thanks to Lora Wentworth for nominating me! I love reading the “In Focus” on the Welcome to Kelowna website! I’d love to visit that library one of these days.